Sold out for this season. 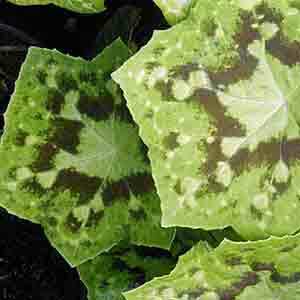 An attractive perennial with green leaves beautifully marked purple-brown. Open cup-shaped white or pale pink flowers followed by fleshy red fruit.